Although there are many taxi and cab services in Sedona, you are dependent on when they are able to fit you into their pick-up services. When you hire us, your reservation is set. We will arrive at your hotel, or other place of pickup, exactly at the time you prefer. When you use us, you know that we thoroughly clean each vehicle before every tour as well as before we pick up any customers, ensuring your comfort during your ride. When you hire a taxi or Sedona cab company, that's what you get – a taxi. When you hire us, you get a professionally trained guide who is thoroughly knowledgeable in the area. If you would like to know about Sedona, our guides are there to answer all your questions to ensure you get the most out of your stay while visiting red rock country. So, whether you are looking for that hidden gem to propose to your girlfriend, the most scenic hiking trail in the area, the best local flavor of Sedona, or simply want to get a deep tissue massage, our guides are there to help you. So, whether it's just yourself, or a group of up to 14 people, we will take you to dinner after your tour and bring you back to your hotel when you are done with your meal. We allow three whole hours to enjoy your dinner at your pace, so you may savor ever bite and never feeling rushed. Pay only $150 for your entire group for this service. Are you looking for transportation for your group while visiting red rock country or northern Arizona? Don't hire an ordinary taxi or shuttle service when you can hire a professional tour guide at a discounted rate. Enjoy the benefits of getting a shuttle from points A to B, and have fun as you learn about the area. We will pick you up anywhere in the Verde Valley including Camp Verde, Cornville, Cottonwood, McGuireville, Rimrock, Beaver Creek, Clarkdale, or Jerome. We even offer pick-ups from all areas of Flagstaff. So, whether you are looking for a ride to Jerome from Sedona, want to spend a few hours gambling at Cliff Castle Casino, or need us to take you virtually anywhere in northern Arizona, allow us to fulfill your transportation needs. Our shuttle services are just $250 for up to 14 people for up to 5 hours and only $100 per hour, should you need additional time. ​Are you looking for transportation for your group while visiting red rock country or northern Arizona? Don't hire an ordinary taxi or shuttle service when you can hire a professional tour guide at a discounted rate. Enjoy the benefits of getting a shuttle from points A to B, and have fun as you learn about the area. We will pick you up anywhere in the Verde Valley including Camp Verde, Cornville, Cottonwood, McGuireville, Rimrock, Beaver Creek, Clarkdale, or Jerome. We even offer pickups from all areas of Flagstaff. So whether you are looking for a ride to Jerome from Sedona, want to spend a few hours gambling at Cliff Castle Casino, or need us to take you virtually anywhere in northern Arizona, allow us to fulfill your transportation needs. If you are traveling from abroad, or simply don’t wish to deal with the hassles of driving in the US, let us do the driving for you. 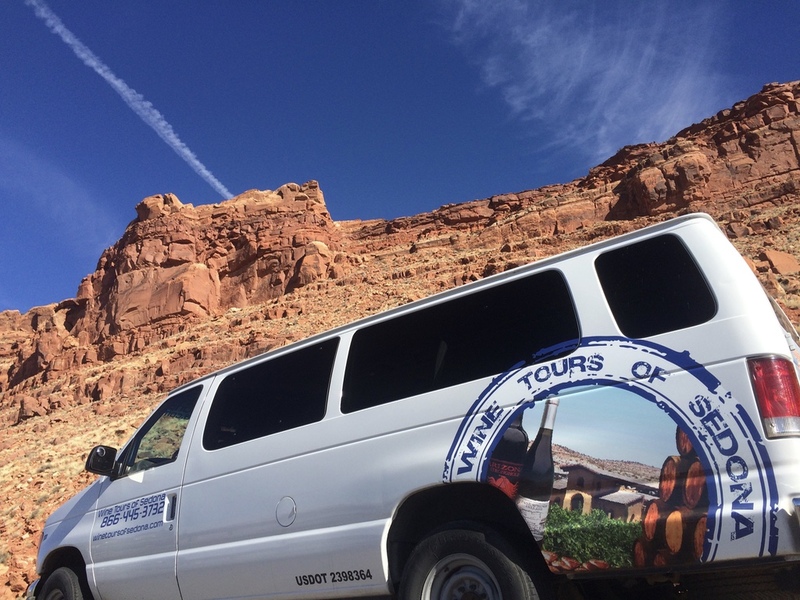 Need a private shuttle to take you to Grand Canyon Village, the Hopi Mesa’s, Canyon Del Chelley, the Petrified Forest & Painted Desert, Meteor Crater? We can do all of that. Just let us know where you want to go, and we will take you there. Need a ride from Phoenix Sky Harbor Airport to northern Arizona or virtually anywhere else in the state, call us. We will get you to where you want to go. Our shuttle services are just $777 for up to 14 people for up to 10 hours and only $100 per hour should you need additional time.